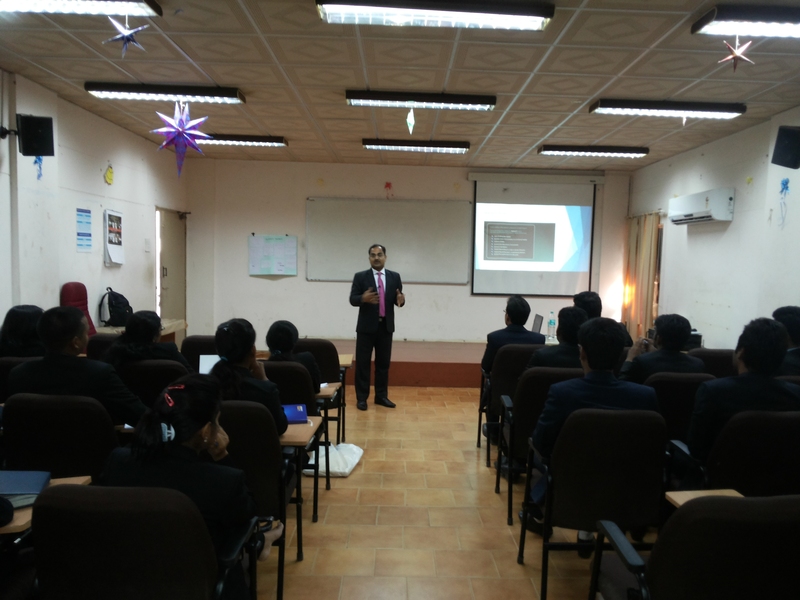 The 36th batch of DoMS, NIT Trichy were privileged to have with them Mr. Krishna Kumar(Senior Vice President, Head of Trade Finance, Abu Dhabi Commercial Bank) for an interactive session on “International Trade”. Session started off with discussion on topics like “how to face the challenges in any industry”, “how to grow into an industry” and “how to switch the companies when challenges are not present”. He shared his real life experiences to support theoretical concepts explained. The session progressed to discuss the core topic for the day -“International Trade” which helped the students to understand its economic, social, and political importance. Students also got an opportunity to understand the challenges and risks international trade is facing currently. The session was concluded by the Q&A session. 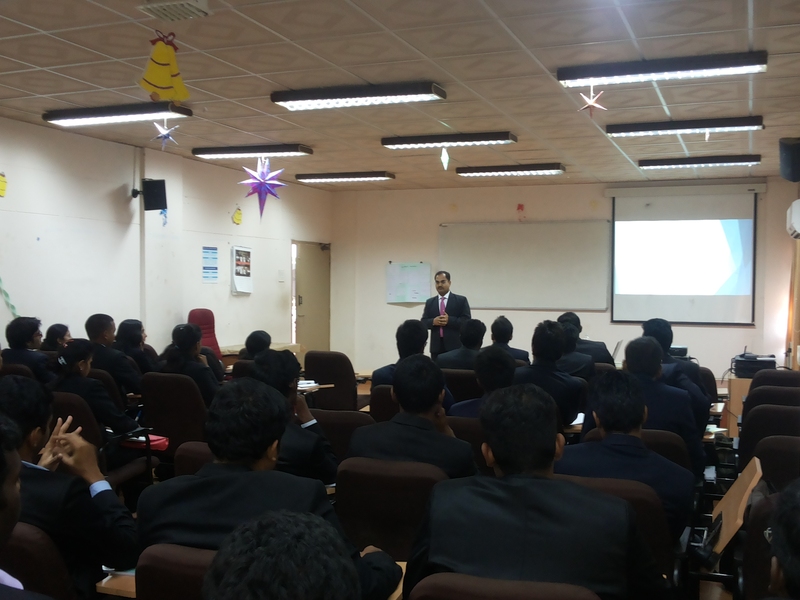 Students of DoMS, NIT Trichy are very thankful to Mr. Krishna Kumar for sharing his experience and knowledge. What is the hyped CFA all about? When the world slips into recession, it is the financial sector which usually suffers early and for long. From the Wall Street to the Dalal Street, the highly paid professionals and the back office workers lose their jobs at a rapid pace. While economists’ debate whether U.S is in recession or not, the investment talent is sending a clear signal. As Wall Street sheds jobs, the CFA Program gets popular. Even the last two times when U.S. had a downturn in the economy in 1990-91 and 2001, the registration for CFA shot up. CFA Exam is conducted by CFA institute based in U.S. CFA is an internationally renowned exam; perhaps becoming a Charted Financial Analyst is the most prestigious designation an investment professional can achieve. Through rigorous examination and a four year apprenticeship, CFA screens the brightest of the talents and those who pass all these hurdles acquire the CFA Charter Holder. Only about one-third pass the initial Level I Examination and even much lesser succeed in the all three levels of the examination. Despite this discouraging statistics candidates are still flocking this examination. They realise the value of the course because they have observed how the lack of a CFA charter has put them behind in the competition. For those who are considering a career in investments it would be confusing whether to obtain MBA or CFA designation. Both have their advantages. In MBA, the career option is diverse and open whereas CFA is more specific. So a CFA along with a MBA helps get an instant recognition in the industry and to grab the desired career in finance. So what makes the candidates apply for this program? Apart from the traditional answers such as the strong skills and knowledge, the CFA provides a Global Recognition and is also the most widely and respected investment credential in the world. It gives a career advantage; Employers recognize the CFA charter as the definitive standard to measure the competence, integrity, and dedication of serious investment professionals. Earning the CFA charter places you in the company of an elite group of nearly 90,000 respected investment professionals. Access to their collective expertise, networks, and resources is an invaluable asset. The Top 10 Employers of CFA Institute Members are Bank of America, Citi Group, Credit Suisse, Deutsche Bank, HSBC, JP Morgan Chase, Morgan Stanley Smith Barney, RBC, UBS and Well Fargo. The CFA holders are working in various designations and various operations of these companies which are shown in the chart. 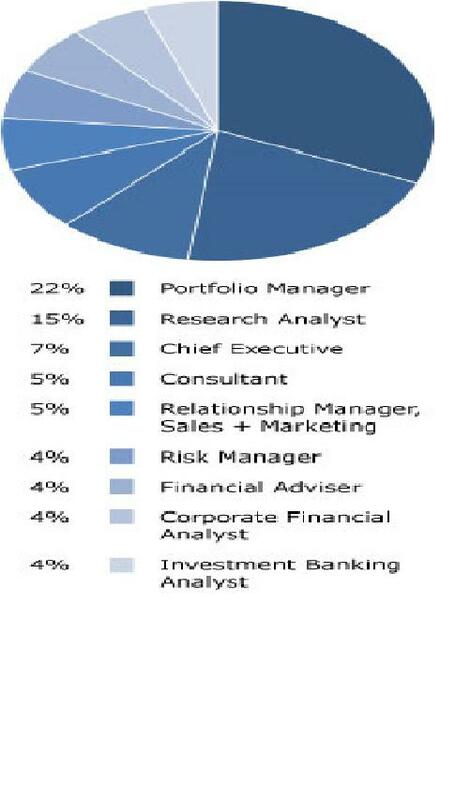 So the CFA charter provides you with a strong foundation for a variety of career choices in the investment profession. If you’re interested in portfolio management, investment research, advisory services, or investment banking, you will benefit from a CFA charter. Employers and media around the world recognize the CFA charter as the standard of professional excellence. With such widespread recognition, CFA Charter Holders earn a significant competitive advantage for international employment.